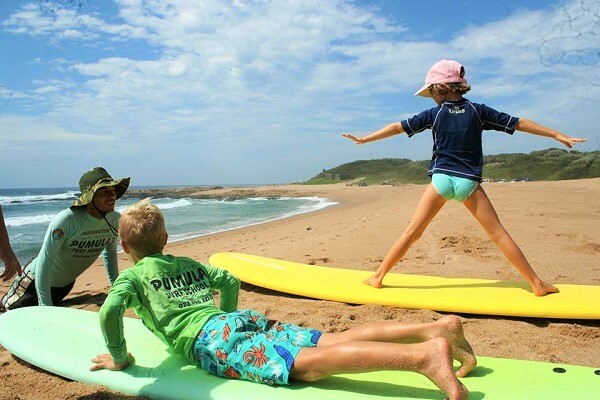 Pumula Surf Camp – Eco living & adventures is owner run by a young local family and is situated in the peaceful seaside village of Pumula (meaning “ideal resting place” in isizulu), 1hr drive south from Durban city on the south coast of kzn, south africa. Our homely lodge which sleeps 10 is set on a large plot overlooking lush forests and is a short walk from the surf and miles of beautiful beaches. Come join our family and way of life, learn about the ocean, learn to surf or improve your surfing skills in the warm indian ocean. breathe and stretch out with yoga sessions to enrich your mind, body and soul. and gain knowledge of maintaining and preparing healthy meals from our organic fruit and vegetable garden. We aim to cater for the eco-conscious travellers and families, our vision is to try live an eco-lifestyle as nature intended, by learning to enjoy and live in harmony with the land and sea. Just a short 5min walk away from the camp is Pumula Beach where the Injambili River meanders down to a rocky point, on which since 1935 rests the remains of the shipwrecked Nivonia, looking north towards the warm golden sun, a long white beach stretches between the lush green dune forest and clear blue sea. Our coastline is full of small rocky bays, estuaries and long sandy beaches, excellent for surfing, snorkelling, fishing and diving. Most local beaches are protected by lifeguards and shark nets. We have a sub-tropical climate so its warm all year round, meaning many days of surfing in bikini’s or board shorts or a shorty for winter. There are 7 surf spots within a 10min drive from the camp with a good variety of waves that work in different conditions, from point breaks to shallow sand bars, stretching out up to 150 meters from the shorebreak to backline. 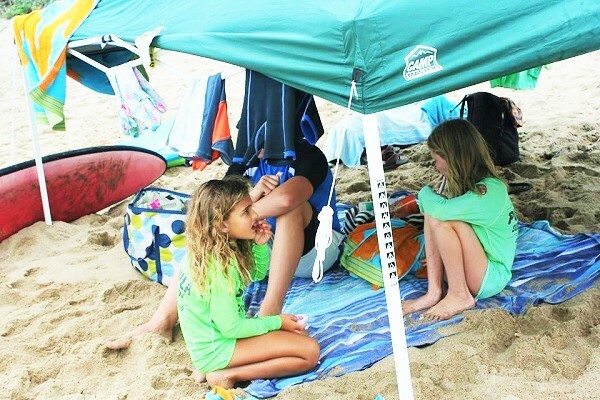 With the average summers swell size of 2-4 foot and 4-6 foot in winter. 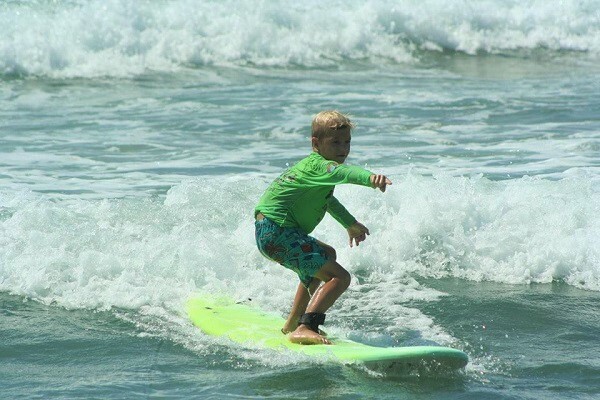 So, our surf instructors are always able to find a suitable, safe surfing environment to cater for your ability. From Durban central get on M4 from Dr Yusuf Dadoo St and Anton Lembede St.
Take N2 to R102 in Mnamfu. Take exit 72 from N2 and follow R102 to your destination in Hibberdene.